Our Cincinnati living trust lawyers often recommend these very useful estate planning vehicles. They provide a number of different benefits they simply would not be gained if you were to use a last will as your primary vehicle of asset transfer. One of them is the ability to include spendthrift protections. To explain by way of example, let’s say that you have an adult son that has always had difficulty handling money. On many occasions, he has come to you seeking financial assistance during very difficult times. As you have been getting older, you have concerns about the ongoing well-being of your son. Sure, you can name him in your last will, but what happens if he burns through his inheritance too quickly? At that point, he would have nowhere to turn when he needs help. This is where a revocable living trust can be invaluable. If you create this type of trust, you would be called the grantor. The trustee is the person or entity that administers the trust, and the beneficiary is the individual that can receive monetary distributions from the trust. As the grantor of the living trust, you can act as the trustee and the beneficiary while you are living. You surrender no control, and remember, the trust is revocable. Should you ever want to dissolve it for any reason, this option is available to you. There is also a great deal of flexibility when you establish a revocable living trust. After you create and fund the trust, you can transfer additional property into the trust at any time. You can also remove property from the trust, and you can change the beneficiary and trustee designations if you choose to do so. In the trust declaration, you name a successor trustee to administer the trust after your passing, and you name a successor beneficiary or beneficiaries. 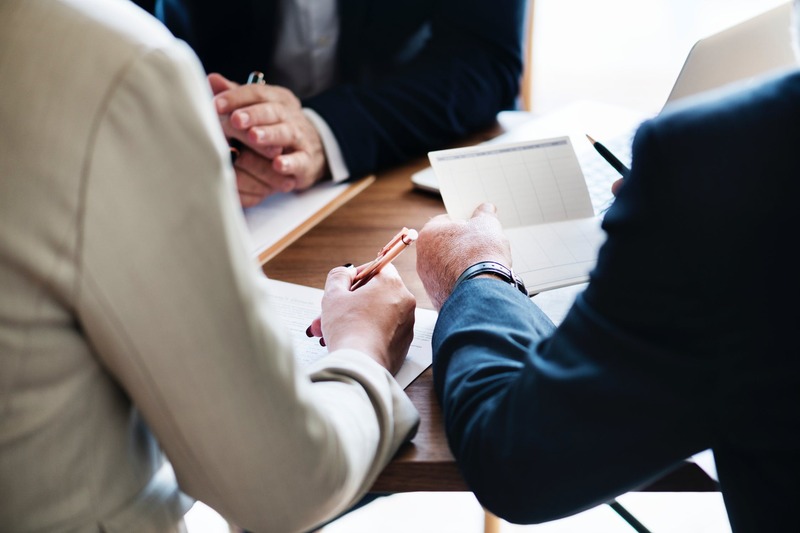 When it comes to the choice of trustee, a professional fiduciary like a trust company or the trust department of a bank can be the right choice. The utilization of a fiduciary is often a very good idea, because there can be no potential conflicts of interest. The assets would be handled by professionals, and there would not be any longevity concerns. Getting back to the spendthrift example, you do not have to instruct the trustee to distribute the inheritance that you are leaving to your spendthrift son in a lump sum. Let’s say that there are income producing assets in the trust. You could instruct the trustee to distribute the annual interest accrual and a certain percentage of the principal on an incremental basis. Many people will do something along these lines and allow for larger lump sum distributions when the beneficiary reaches certain age thresholds. Of course, emergency situations can arise. To account for these potential circumstances, you could give the trustee the latitude to make discretionary decisions with regard to distributions of the principal outside of the incremental arrangement. This dynamic is another good reason to consider the utilization of a professional fiduciary that would not act in an emotional manner. As you can see, a revocable living trust can provide the ideal solution if you are concerned about the money management capabilities of a loved one. There are a number of additional advantages to be gained through the utilization of a revocable living trust, and we will look at them in future blog posts. When studies are conducted, they find that most adults are completely unprepared from an estate planning perspective. This is unfortunate, because in many cases, their family members pay a heavy price unnecessarily. We have found that people are motivated to take action when they fully understand the importance of estate planning. As a response, we go the extra mile to provide all different types of educational opportunities. This blog is updated on an ongoing basis, and you can learn a lot if you subscribe and absorb the information that is passed along. There are other resources on this website as well, and we invite you to tap into one of them right now. Our Cincinnati living trust lawyers have developed a comprehensive estate planning peace of mind checklist. It is an extremely useful tool, and it is being offered free of charge. If you take a little bit of time to work through it, we assure you that you will be glad you did. To obtain your copy of the checklist, click the following link: Free Cincinnati Estate Planning Checklist.